On Sunday morning, January 20, 2019, Norma J. Sinder completed her baptism at home surrounded with love from her four daughters, Deborah Sinder of Ravenna, Diane (John) Metzger of Kidron, Denise (Ray) Hughes of Rootstown and Mikelann (Tony) Wendlandt of Akron. Norma was born in Bethlehem Township, PA on November 2, 1931 to Isaac and Ida (Teegarden) Allen. She worked as a typesetter at the Record-Courier for 44 years. 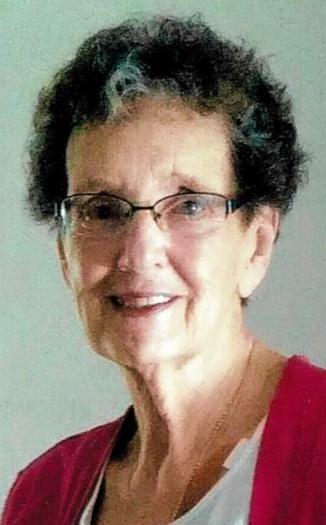 Norma was an active member of St. Paul Lutheran Church and was known throughout NE Ohio for her pie baking skills and one of her greatest joys was baking for others. You could hear the smile on the other end of the phone when she called someone to say she had a pie ready for them! The number of books Norma read in her lifetime comes in a close second to the number of miles she logged on the back of her husband Mike's motorcycle, including four trips to Mexico. Norma is also survived by eight grandchildren: Tracy, Michael, Deanna, Jason, Audrey, Adam, Lauren and Craig; eight great-grandchildren and her best friend of 69 years, Mae Wise. She was preceded in death by her parents, her husband of 52 years, Mike in 2009, daughters Regina Sinder and Cheryl Dustman and siblings Merle Allen, Ruth Kolar and Betty Allen. The daughters would like to thank Cleveland Clinic Hospice for the love and care shown to their mom. They were invaluable to the family on this journey. Calling hours will be from 11 AM until time of service beginning at 1 PM on Saturday, February 9, 2019 at St. Paul Lutheran Church, 170 N. Freedom Street in Ravenna. Pastor Daniel J. Caruso, Jr. will officiate. In lieu of flowers memorials can be made to St. Paul Lutheran Church or the Portage County APL, PO Box 927, Ravenna, Ohio 44266. Arrangements have been entrusted to Shorts Spicer Crislip Funeral Home Ravenna Chapel.